Okay, let’s pretend that we haven’t been off the radar screen for, um, well, too long. We took a long break from blogging to galavant around the east coast – from Boston to Orlando – and focus on a few projects at our real jobs. We did spend a couple nights doing what we love though… renovating! 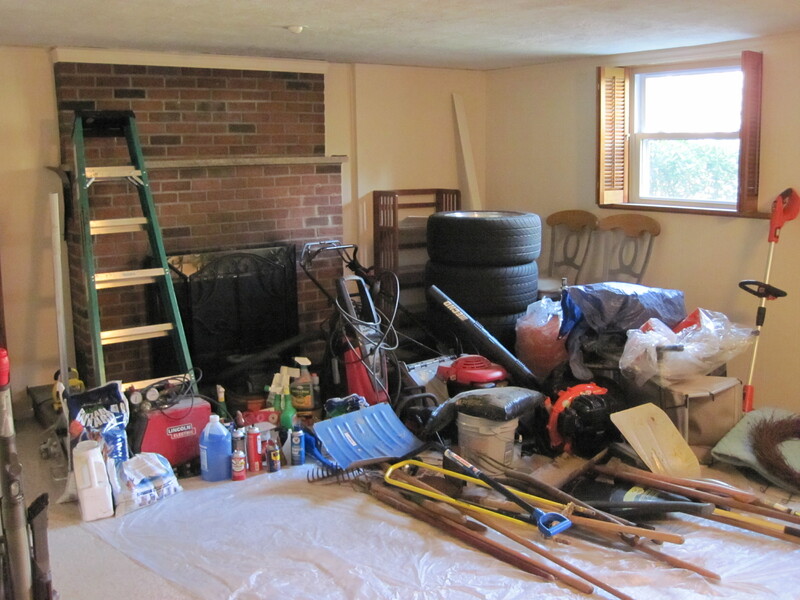 We’re turning to a new room in our house: the garage. We really believe the garage should have a lot of attention paid to it. After all, we see it every day when we get home from work and when we leave for work. Our tools live out there too so they need to be organized well; we spend too much time searching around for a screwdriver or drill bit (which always ends in cursing and swearing). Wait, what’s in the middle of our garage, you ask? Just a little project we’re working on for the baby’s room. (Built-ins!) More on that as we make more progress. Right now, we just have some pieces scattered around the house. But back to the garage. Our next step: demo! Truth be told, we have started demo already. More on that after we finish it up this weekend. The garage already feels bigger and more spacious, which is great because before we started cleaning up our two cars barely fit in the garage. It’s still a tight squeeze (we wish the garage was just a foot or two wider), but having the extra junk out has made quite a difference. Anyone have any tips or suggestions for us to help us make the garage look extra awesome?